Declan Coyle is one of Ireland’s most internationally experienced Leadership Training & Development consultants as well as an internationally sought after conference keynote speaker. Declan has helped revolutionise leadership thinking and performance in numerous companies. Declan Coyle is a director of Andec and one of Ireland’s most internationally experienced Leadership Training & Development consultants. As a much sought after conference keynote speaker, he has delivered specialist programmes on leadership, management, sales and organisational development to clients worldwide – including Ireland, the UK, Germany, Holland, Hungary, Ukraine, France, USA, China, Korea, Thailand, The Philippines, Vietnam and Australia. His unique use of tools such as NLP to focus Leadership Teams on personal and company goals to maintain consistently high levels of motivation and success is underpinned by harnessing the unique power of individual personality styles using the Enneagram Model. This is combined with the Red & Green Platform System he developed that has revolutionised leadership thinking and performance in the companies he has worked with. Declan has worked with charities, government ministers, government departments, semi-state bodies, multi-national companies and Small & Medium Enterprises. He has also given regular training sessions to PLATO groups – owner managers of SME’s. 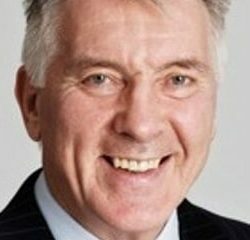 Declan has worked extensively with senior management and sales teams from companies such as Eircom, Alltech, GlaxoSmithKline, Pfizer, Takeda Pharmaceutical, Gerard Laboratories, Mars Corporation, Banta Global Turnkey, Wavin, Apple Computer, AOL and a wide selection of American and Canadian companies in addition to various banks. He also spearheads Andec’s Secondary and Third Level Development Programme. In recent years, Declan’s success as a key motivator and mentor for Business Leaders has been harnessed in the sports arena, where he has given regular goal setting and mental strength motivational sessions to a number of GAA teams. He has developed a very close mentoring relationship with different winning team managers – including those of the Cavan, Kerry, Cork (Football) Tipperary (Hurling), Down, Offaly (Football), Dublin (Hurling), and Wicklow teams. He worked closely with Kilmacud Crokes when they won the 2008 All-Ireland Club Championship. Declan himself is a former Ulster Championship medal winner, who played senior football with Cavan. He also worked with the Kentucky Wildcats, when they won the National Basketball Title in the U.S.
With two Masters degrees from post-graduate work in Canada, Declan is fluent in a number of languages including Mandarin. He has written and produced many articles and DVDs on leadership, management, sales strategies, communications, teamwork and change management. Declan is the author of the Number 1 Best Selling book, The Green Platform – an innovative “inner software” methodology that has transformed the morale, productivity and profitability of companies across the globe. He also writes a weekly motivational column for Fit Magazine that is published with the Irish Independent, Ireland’s largest selling daily newspaper. A member of the Irish Institute of Training and Development, Declan is also a Master Practitioner in NLP and a certified Enneagram teacher.